Just down the road from the haute hipsters of Scribe lies Gundlach Bundschu, California’s oldest family-owned winery. But despite its century-old pedigree, Gun Bun, is no less lively. Rhinefarm, the 320-acre property, is idyllic, shaded by towering olive trees and bordered by a scenic pond. Still, if you snag a patio seat in the summer, you’re likely to hear a DJ spinning in the distance. Helmed by sixth-generation vintner Jeff Bundschu, Gun Bun is known for music, from its annual Huichica fest, featuring indie and surf rock bands, to a packed calendar of weekend concerts. 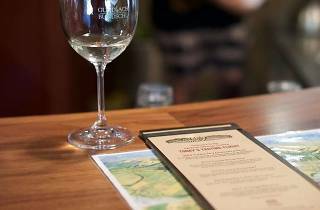 Tastings are conducted at the long bar in the inviting tasting room or in the grand underground wine cave. 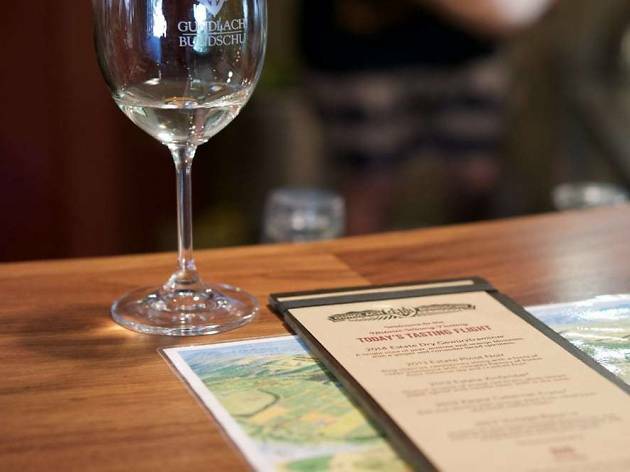 Don’t miss the pinot noir and cabernet sauvignon, as well as a refreshing Gewürztraminer.